The room was very beautiful. The kitchen and floors were imaculate! Being so close to the beach was fantastic. We could leave the doors open and hear the waves all night long. The apartment was large enough to be comfortable but not hard to keep clean. There are good restaurants and super markets within walking distance giving lots of options. Great property that allowed us to enjoy quiet weekend away. The apartments were furnished much better than I expected and would definitely return to this property. The pool was great and perfect for the kids. Lovely clean facilities everything you needed in apartment, bonus private sun terrace on second floor properties, and bar restaurants only a minutes walk away. Regular house cleaning. Spacious rooms and private ground floor terrace. Gardens and outdoor pool are contained within brick perimeter, so safe for kids. Beach was 1 minute walk from the property. Two supermarkets within walking distance with pretty much all you need or you can drive 15 mins to the huge supermarkets. Bit off the beaten track but once we found it collected keys from next door at Club Playa Real easily. Apartment was lovely and spacious with good facilities, only thing being February we found apartment a bit cold and heating didn't seem to kick in very well. Great location for the beautiful beach and couple of good restaurants and supermarket within walking distance. Outdoor pool looked lovely kids jumped in and out as was cold and the indoor heated pool next door wanted 3.50 euro per swimming hat so gave that a miss. Breakfast was either a croissant, ham/cheese or small plated English breakfast. Other than price there really wasn't much to like. The staff were wonderful the beach beautiful and our accommodations were great. . Restaurants were so close and such great food I could have stayed much longer! the room was amazing plenty of room for 5 women, 3 lovely bedrooms and lovely clean bathrooms. dishwasher washing machine and everything in the kitchen that you would have at home. the balcony was huge with beautiful views to the sea and pool. 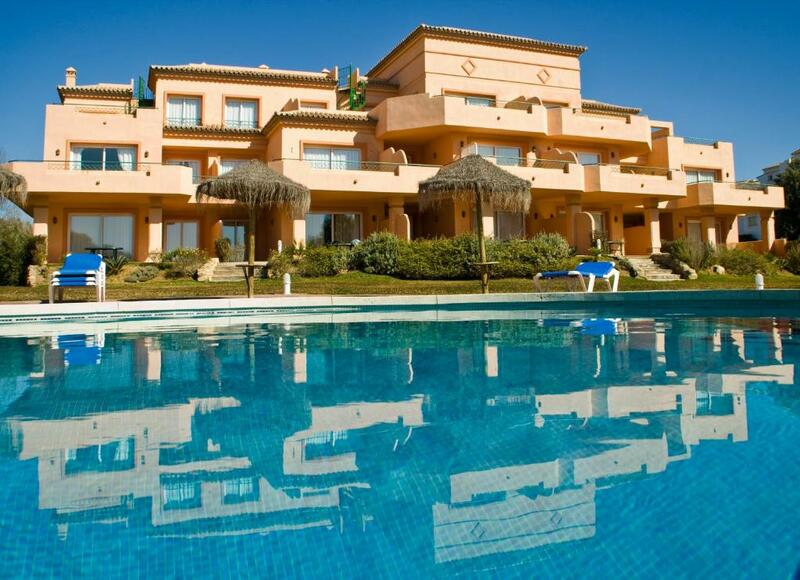 Lock in a great price for Marbella Beach Resort at Club Playa Real – rated 8.5 by recent guests! 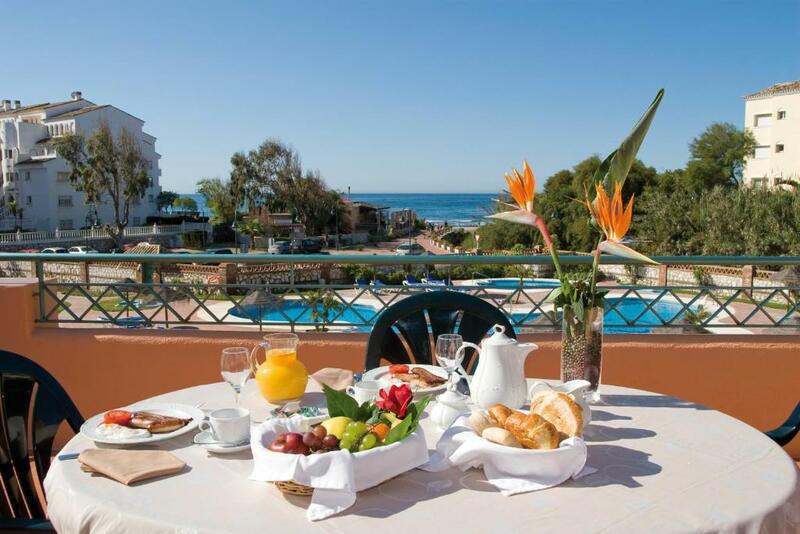 One of our top picks in Marbella.Featuring a shared swimming pool, Marbella Beach Resort at Club Playa Real is set on Marbesa Beach, 7.5 mi from Marbella Town Center. It offers apartments with a private terrace. Guests have free use of the indoor pool, hot tub, sauna and gym at the Playa Real Club House, just opposite. There you will also find a restaurant for breakfast, lunch and dinner. 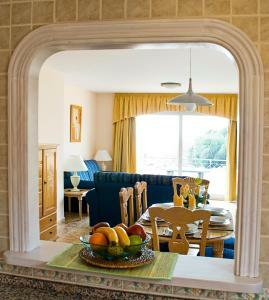 Each spacious Marbella Beach Resort at Club Playa Real apartment has a living room and satellite TV. 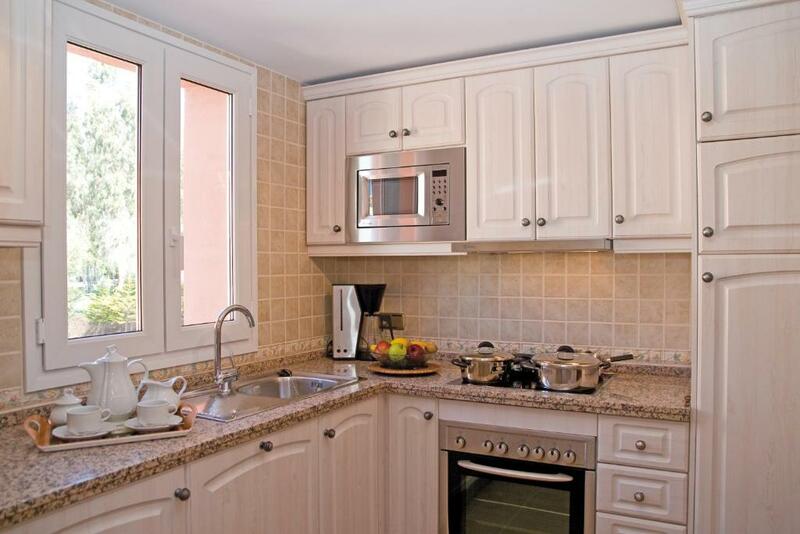 There is a washing machine and dishwasher, and the kitchen includes a fridge, microwave and oven. You can hire a car, and an airport shuttle service is available for an extra charge. Massage is also available for a supplement. When would you like to stay at Marbella Beach Resort at Club Playa Real? Located on the ground floor or first floor, this air-conditioned apartment features a private terrace. 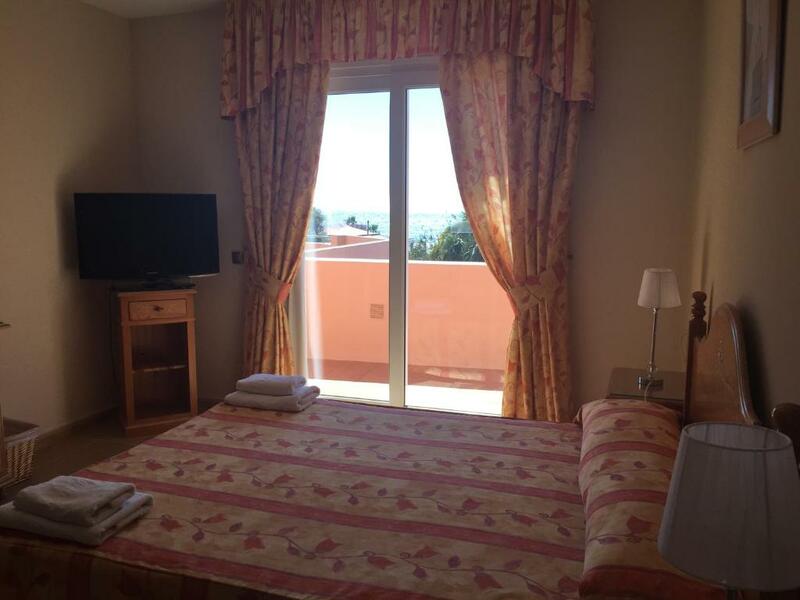 It has 1 double bedroom and 1 twin bedroom, as well as 1 bathroom with a bath and shower. The living area includes a large sofa, flat-screen TV, and a dining table. The kitchen comes equipped with an oven, hob, dishwasher, and a coffee machine. A washing machine is also available. Located on the ground floor or first floor, this air-conditioned apartment features a private terrace. It has 1 bathroom with a bath and shower. The living area includes a sofa bed, flat-screen TV, and a dining table. The kitchen comes equipped with an oven, hob, dishwasher, and a coffee machine. A washing machine is also available. Located on the second floor, this air-conditioned apartment features a private terrace. There is 1 bathroom with a spa bath and a hairdryer. Located on the second floor, this air-conditioned apartment features a private terrace. There are 2 bathrooms, one with a spa bath and a hairdryer. The living area includes a sofa bed, flat-screen TV, and dining table. The kitchen comes equipped with an oven, hob, dishwasher, and a coffee machine. A washing machine is also available. Located on the ground floor or the 1st floor, this air-conditioned apartment features views of the garden. It has 2 bedrooms and 2 bathrooms. There is a living area with a sofa bed, flat-screen TV, and dining table, while the kitchen is equipped with an oven, dishwasher, and coffee machine. Located on the ground floor, this air-conditioned apartment features views of the garden. It has 1 double bedroom and 1 bathroom. The living room includes a sofa bed, flat-screen TV and a dining table. The kitchen comes equipped with an oven, dishwasher, and a coffee machine. WiFi is available in the hotel rooms and costs EUR 9 per 24 hours. House Rules Marbella Beach Resort at Club Playa Real takes special requests – add in the next step! Marbella Beach Resort at Club Playa Real accepts these cards and reserves the right to temporarily hold an amount prior to arrival. Please note that breakfast is served every day from 09:00 to 11:00, except on Fridays, when a take-away breakfast is provided. For key collection and entrance to the apartments, you must go to the Club Playa Real, located at Avenida Cuesta Correa s/n, Urbanización Marbesa. 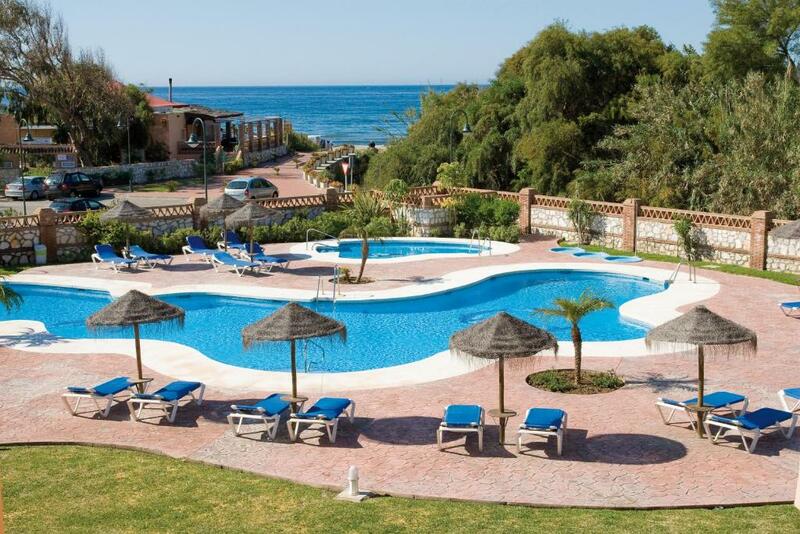 It is located opposite to the Marbella Beach Resort at Club Playa Real. Friday and Saturday: 09:00 – 00:00. Please note that additional beds cannot be added in any of the apartments. A cot is available upon request for a surcharge of EUR 3 per night. Please note that this property is family-friendly and therefore it is not permitted to make loud noise or disruption. Please note that check-in and key collection take place at: Recepcion del Club Playa Real - Urbanizacion Marbesa, Avenida Cuesta Correa, s/n, Marbella 29604. Please inform Marbella Beach Resort at Club Playa Real of your expected arrival time in advance. You can use the Special Requests box when booking, or contact the property directly using the contact details in your confirmation. Not a lot of choice of food at breakfast for vegetarians & non for vegans. Quite remote, apart from the couple of restaurants nearby you need to drive everywhere else. Ideal for a short relaxing stay. Even if iit s close to the beach, it is near a stream full of wild vegetation. In the flat there were some kind of worms on the floor, maybe because of the old furniture. It was a confortable, large flat. Everything starting with the presentation on the booking site. the Beds were too hard. The second bedroom at the back was very dark and faced the lift and stairs so had to keep the curtains closed but you are only in there to sleep. Could of done with a spot light in the wall above the dressing table. The accommodation was very spacious in the 2 bedroom apartments. We had the first floor, the main bedroom with the double bed is very large and lovely big bathroom, this bedroom has sliding patio doors which lead out to the terrace which goes round to join up with the lounge big sliding patio , all over looking the beautiful pool area and gardens and out to the sea. The separate twin bedroom was smaller and is at the back of the apartment and has a bathroom opposite. The kitchen is well equipped with everything you would need. The maid came twice a week we was only there a week. Breakfast was nice and quiet never busy and no self service all waiter service so you get a juice and coffee and then toast and breakfast, no cereals. We took our own bottle of water to breakfast with us. Very secure you have a 4 digit pin to enter & leave the grounds of the Marbella playa. 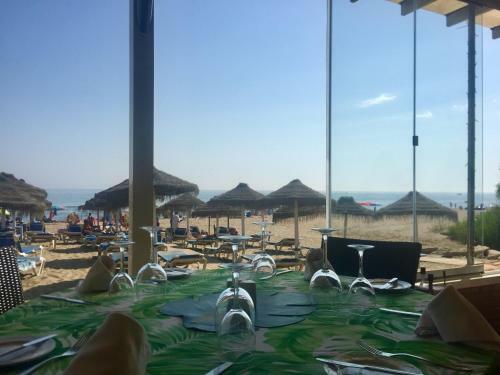 All Spanish staying at the complex and all surrounding beautiful restaurants on the beach.